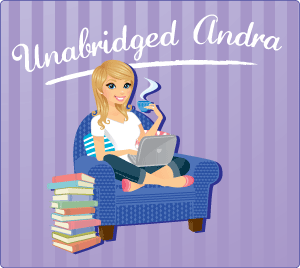 She's ghostwriting a book for a famous author--a recently deceased one. A struggling writer living in Manhattan, Jacy McMasters is the first to admit she's a terrific liar and a screw-up. Then the ghost of the famous novelist JD Balinger asks her to "channel" a follow-up to his classic coming of age book, The Watcher in the Sky. Along with her new boyfriend, a bear of a man who has no patience for mind games, the ghost in Jacy's head forces her to confront a lifetime of secrets—dark secrets. Secrets she's been keeping from herself. 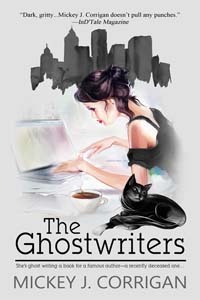 The Ghostwriters was a quick, quirky little book that surprises and titillates. While it comes off quite snarky, there's some hidden depth and a bit of darkness that you really aren't suspecting. I loved the references to The Catcher in the Rye and JD Salinger. Not so subtle perhaps, but definitely funny in that punny sort of way. This book is like your edgy quiet friend who doesn't say much but then will surprise you by pulling out something fantastic and deep. Jacy is intellectual, yet flawed, and has a lot of neurosis to play with. While it's hard to really get a measure of her character, she's definitely got a lot of actions, choices, and thoughts to try. At times you aren't sure what's real and what's going on in her head, but while she comes off a little eccentric, I think eventually you have to kind of grow to like her - if not relate to her mental angst! Mickey will be awarding a $25 Amazon or Barnes and Noble GC to a randomly drawn winner via rafflecopter during the tour. Snarky and quirky, love it! Thanks for the fun review. Quick and quirky don't necessarily go with little, but I'm game to try it, especially when it surprises and titillates, LOL!!! It is kind of little at less than 200 pages. Hope it floats your boat! I enjoyed learning about this book and can't wait to read more. Thank you for sharing!  Enjoyed reading the excerpt and Andra's thoughts, Sounds like a great read, Good luck with the tour! I'll tell the cover designer, she loves to hear that. Thanks!